LES July Newsletter - Busy Summer for Local Energy in NH! Town of Warner 100kw solar array at Transfer Station. -EV Resource of the Month! Dover City Council approves two major solar Power Purchase Agreement (PPA) projects. The Request for Proposal vendor review was led by the Dover Energy Commission which provided its recommendations to the City Council and School Board. Revision Energy was chosen by the Dover City Council and School Board for their respective projects. 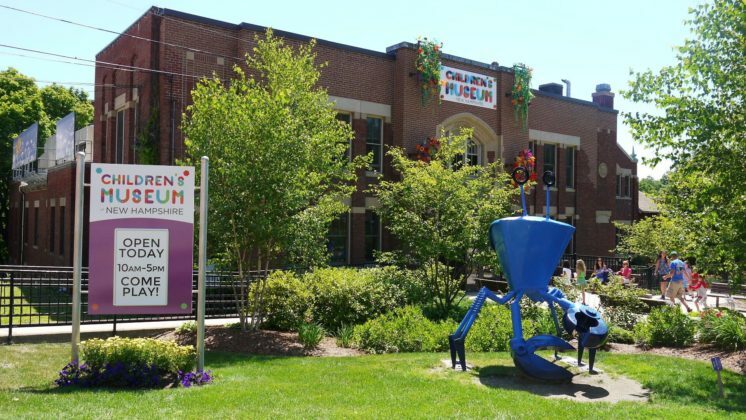 The first of these is the Children's Museum of New Hampshire and the city's indoor pool. This project was initiated when the Museum was awarded 103 solar panels as the winner of the Energize 360 Seacoast NH social fund. The City, on its own initiative, added the ideally situated adjacent indoor pool tripling the total solar capacity of the project. With close coordination with our City's Directors of Community Services and Recreation, the Energy Commission facilitated a meeting with City Managers and Revision Energy in making the initial assessment. The second approved project is the installation of the largest school solarization project in the State for the new Dover High School that is set to open this fall. Earlier in the design process, the Energy Commission recommended reinforcing the roofing support in the likelihood of a solar system installation. Together, these systems are engineered to produce almost 1.2 million kWh of electricity annually while saving the City over $1.8 million in installation costs. Read more here. Key project of energy strategy to save nearly $1 million with no tax rate impact. Claremont, NH --- A public ribbon cutting and tour are scheduled on July 24 to showcase a solar array recently installed near the wastewater treatment plant in Claremont. The project is a key feature of the city’s multi-year plan to cuts costs and reduce environmental impacts. Last year, the Claremont City Council approved funding for the solar array, which has no impact on the city’s tax rate and is forecast to save taxpayers more than $800,000. Read more here. The Marlborough Select Board, working closely with the town Energy Committee, has chosen Efficient LED Lighting Systems to convert all town streetlights to LED. Marlborough joins the dozens of Eversource municipalities cutting energy bills by over 50% with streetlight projects. The Energy Committee also took part in the first Marlborough Volunteer Fair to spread the word about the group and recruit new members. On June 20, 2018, the Governor and Executive Council approved contracts for three community solar projects that will directly benefit low-moderate income families. The projects meet the requirements of RSA 362-F as amended by Senate Bill 129 in 2017. The contracts, which total over $400,000, are funded through the Renewable Energy Fund (REF) and leverage over $300,000 in non-REF capital. Laconia Area Community Land Trust, Inc. was awarded $150,000 to install and operate six roof-top solar PV systems. The systems total 64.2kW AC and will be installed on multi-family affordable housing buildings in Laconia, benefitting twelve low-moderate income families and generating an estimated 85,000 kilowatt hours of electricity per year. Mascoma Meadows Cooperative, a residential owned community manufactured housing park, was awarded $168,000 to install and manage a 100 kW AC ground-mount solar PV system, providing an estimated 170,000 kilowatt hours of electricity per year to the fifty cooperative member residents. 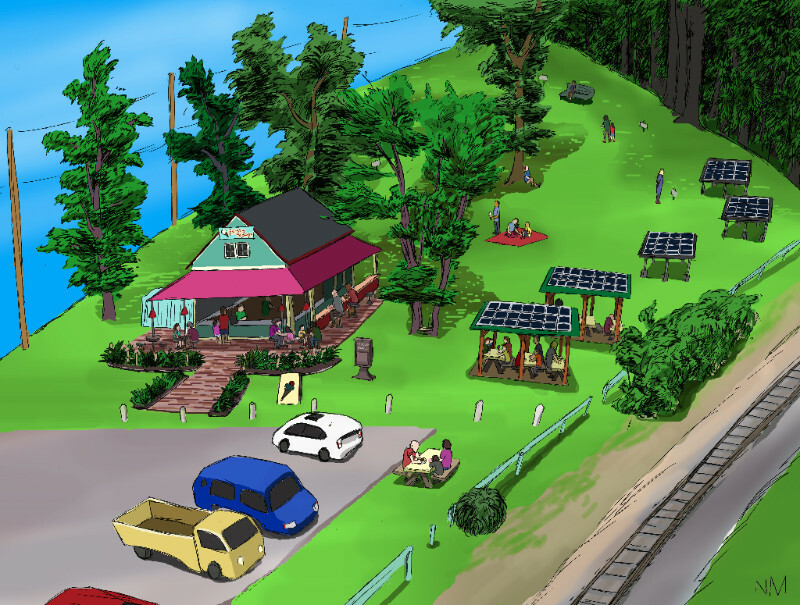 NH Solar Shares LLC was awarded $86,721 to install and operate a 26.1 kW AC community solar garden located at the Frosty Scoops Ice Cream Stand in Plymouth. The community solar garden will provide ten income eligible households in New Hampshire Electric Cooperative service territory with a monthly “solar share” credit on their electric bill. As each of the projects use different models for implementing low-moderate income community solar, reporting from the grantees will provide the Commission with insight into the implementation and effectiveness of different program models. Plymouth, NH: NH Solar Shares announced today that the NH Public Utilities Commission selected their proposal to fund - in part – the installation of a 28.8kW solar PV system to be located adjacent to the Frosty Scoops Ice Cream Stand in Plymouth on spaced donated by the Common Man Family of Restaurants. On Wednesday, June 20th, the NH Executive Council voted unanimously to support NH Solar Share’s project in Plymouth. The grant award to NH Solar Shares totaled $86,721 and is funded with monies from NH’s Renewable Energy Fund. Read more here. NHSEA Welcomes Madeleine Mineau as New Executive Director! Madeleine joins NHSEA with extensive experience in municipal governance and energy issues. As Waterways Manager for Nashua, Madeleine led the City through implementation of numerous energy projects geared towards lowering costs and lessening environmental impacts. Madeleine is also experienced in legislative and regulatory energy policy arenas through her role as co-chair of the Granite State Hydropower Association. Monadnock Energy Hub, formed in January 2018, is a community of Local Energy Committees in Southwest New Hampshire supporting one another in the implementation of individual and collaborative energy projects. Mary Ewell joins the Hub from a career of teaching physics and astronomy to a spectrum of students from engineers to artists at George Mason University. She has a history of engaging her local community by creating and supporting STEM summer camps for all ages, organizing regional science fairs for K-8 students, and participating in regional and national Science & Engineering Festivals. Monadnock Energy Hub is a collaborative project of the Southwest Energy Committees, Monadnock Sustainability Network, Local Energy Solutions, and NH Sustainable Energy Association. CONCORD, N.H. -- On Monday, July 9, 2018, the City Council of Concord, New Hampshire voted to establish a goal of transitioning the city to 100 percent clean and renewable energy. The state capital becomes the largest city in New Hampshire to make this commitment. Read more here. LES would like to offer a special welcome and congratulations to the newly formed Canterbury Energy Committee! (3) Reduced Demand Charges – Reducing Customer Costs. An estimated 75% of U.S. buildings will be new or renovated by 2035. Constructing buildings to the most modern energy codes ensures they use energy more efficiently over the 50-100 year life of the building. With the 2018 IECC available for adoption now the State of New Hampshire, which is utilizing the 2009 International Energy Conservation Code (IECC) as the State’s energy code, is three code cycles behind the international energy code. As a result, new buildings built to NH code can be as much as 20 percent less efficient than those built to modern codes. In addition to offering energy savings, the latest energy codes provide increased safety and resiliency, and healthier buildings. Join us for a webinar presented by state and regional energy code professionals to explore how the energy code is the only code that pays for itself through reduced decreased utility costs and also through reduced insurance rates by serving as a life safety code. The webinar will also cover how the state's utility energy efficiency programs support energy code compliance. The webinar will conclude with a review of opportunities for individuals and groups to support the adoption and compliance of more modern codes statewide to capture decades of energy savings. Register here. The New England Grassroots Environment Fund is working with partners on an effort to better understand current needs of grassroots environmental and social justice organizers so that we collectively can drive more dollars and resources to grassroots groups. As organizers, activists, and nonprofit service providers working on the ground on these issues every day the Grassroots Fund wants to hear from YOU! What are the challenges that you are facing? How can more funding help? What resources and support do you need? Please share your perspective by taking the annual Energy & Climate survey and sharing it with your networks. Looking for a one stop shop to learn about how to implement EV Charging Infrastructure in your community? Look no further! Whether you are looking for charging recommendations for (1) Home; (2) Work; (3) Around Town; (4) On the Road; (or (5) Destination Locations, this fresh-off-the-printer report has answers for you! (Published May, 2018). Did you know that carbon monoxide is an odorless, colorless killer? Through a federal grant, the “Get Alarmed New Hampshire” program is able to offer state-of-the-art smoke and carbon monoxide alarms along with education to eligible households for FREE. This would cost over $400 for a typical home. Who is Eligible? Owner-occupied single family homes with children under 6 and/or adults 60 or older. This program is sponsored by local fire departments and the NH State Fire Marshal office. Contact your local fire department, or call 603-223-4243 for more information. The Get Alarmed NH program ends Sept. 1, 2018, so sign up soon. This position is responsible for assisting and supporting energy efficiency project/program management services to primarily electric customers but may also include other energy sources. This position supports the development, promotion and implementation of energy efficiency programs to meet established goals. View full job description here. 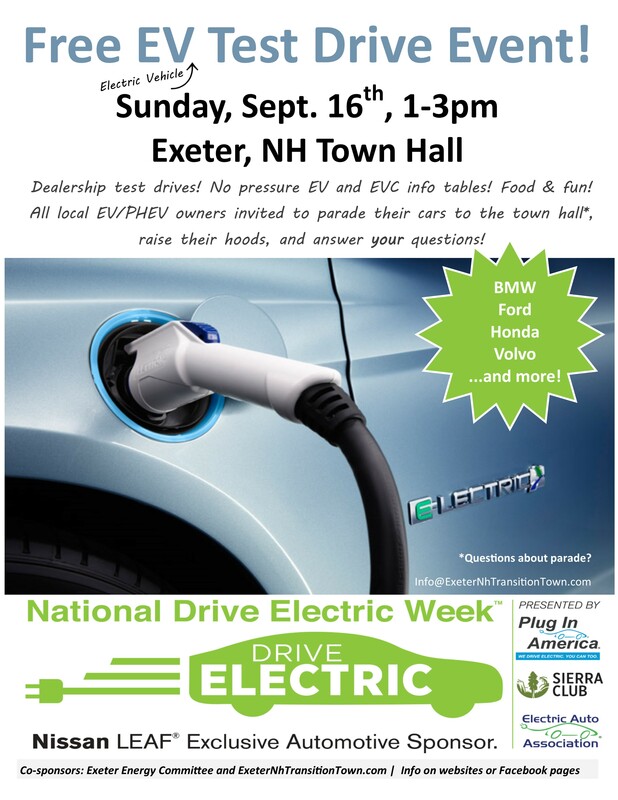 The New Hampshire Department of Environmental Services invites the public to tour a select number of air monitoring stations throughout New Hampshire to learn about the stations, electric lawn and garden equipment, and electric vehicles. You will learn about the environmental and cost benefits of using electric lawn and garden equipment compared to gasoline-powered lawn and garden equipment. For example, did you know one hour of use of a gasoline lawn mower is equal to driving 300 miles? Gas-powered lawn and garden equipment release harmful air pollutants that contribute to the formation of smog, whereas electric-powered equipment have no emissions. You will have the opportunity to test out our Kobalt 80 Volt Cordless Electric Lawn Mower, along with the Kobalt 80 Volt String Trimmer. Did you know that America’s first cars were electric? That’s right, in 1902, the Woods Motor Vehicle Company built the “Phaeton,” an electric car with a range of 18 miles! Today, electric vehicles (EV) are advancing with power and efficiency – we will be showcasing an EV so that you can experience this exciting technology firsthand! We will also have EV literature and resources for you to take home. Don’t miss out on this electrifying opportunity to learn more about the technology that moves people! Please contact Emily Collins, (603)545-7493, Emily.Collins@des.nh.gov for details. The New England Grassroots Environment Grassroots Fund and its partners will be hosting an interactive roundtable discussion in early September aimed at bringing together individuals and organizations from across New Hampshire who are working in a variety of fields t0 discuss creative ways to address local environmental and social issues. The Grassroots Fund hopes to create space for new cross-sector connections and ideas to emerge and to share the small grants, resources, and learning cohorts available to support these emerging ideas. Join fellow organizers at the event to share your perspective on current challenges, strategies, and opportunities in New Hampshire climate organizing to help inform grant makers and funders, learn how the small grants program can support your work or the work of your networks, and learn how you can share your voice and input as a Grant Reviewer or Grant Making Committee Member. Stay tuned for the save the date, and email shannon@grassrootsfund.org if you’re interested in getting involved in planning the event!